← Previous Previous post: Is Google recording your conversations without you knowing? That’s a good point about free public transport in one of those cities actually cannibalising walking trips rather than reducing driving. That’s exactly what’s happened with me and the Free Tram Zone in Melbourne. I live in the CBD, and I much more likely now to hop on board a tram for a short trip I would’ve previously walked. Not really good for my health or congestion! Isn’t the Melbourne FTZ funded from the Parking Space Levy, as such services are in Perth and Sydney? 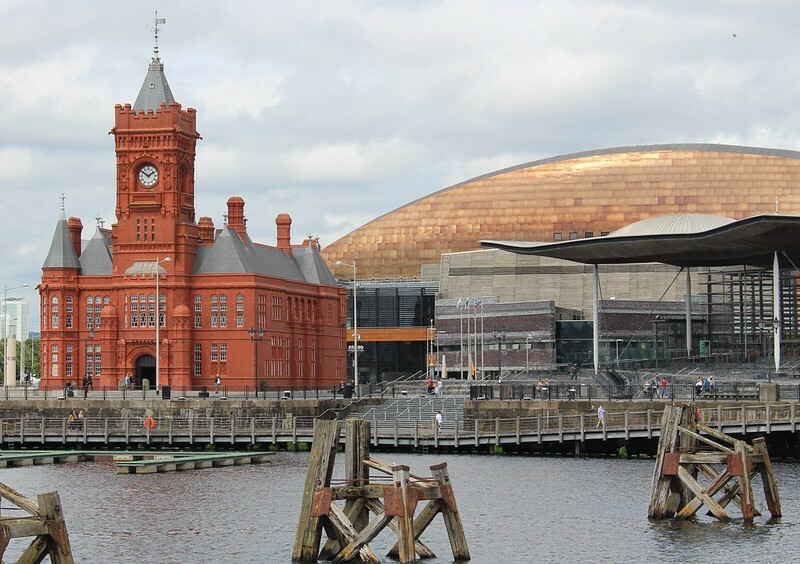 There is often also other co-funding for such services, typically from local councils, businesses and universities. Fare-free doesn’t equate to revenue-free – don’t confuse the two. The reasons for free central area transit, pretty consistently around the world, revolve around the benefits they bring to city centres including revitalisation (particularly where they are adversely affected by car-based suburban centres) and reduction of automobile pollution and congestion, as well as reducing wastage of valuable land for carparking. Such services are typically fed from carparking on the periphery and thus reduce traffic coming into the centre. They also attract people who don’t normally use public transport to appreciate the benefits of public transport which can have spin-off effects. In my part of the world in Wollongong, the 55A/C bus has brought a 15% increase in public transport usage in the city which as a result now has the highest public transport usage of any regional city in Australia. At 3.5 million passengers per year it is one of the busiest individual bus routes in Australia. Fare-free, when properly targeted, can be outstandingly successful. The four CAT routes in central Perth attract 8.5 million passengers per annum between them. As an advocate of public transport, I would see this as something to be celebrated. 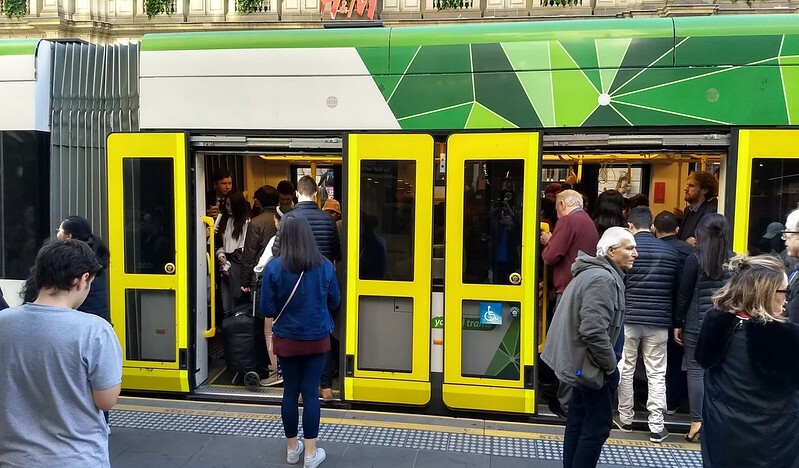 I’d say that in Melbourne the problem is simply a lack of tram capacity – the whole fleet needs to be 30 metre low-floor trams. Although this suggestion is met with horror by tram fans, I’ve long suggested that an interim measure to address the glacial progress of tram fleet replacement in Melbourne should be acquisition of a fleet of fully low-floor articulated buses, both to infill between trams on routes with poor accessibility and to maybe run another fare-free service in the CBD to take the pressure off the trams – perhaps on a circuit that the trams aren’t filling. @Tony P, the FTZ came in well after the car park levy was introduced. Someone will correct me if I’m wrong, but I’m not aware of any explicit linking of the two. The car park levy was used for a time to do localised upgrades to footpaths and other facilities, as well as to fund a CBD “shuttle” bus loop. The latter was never very popular, since it was quite infrequent, and tourists preferred the City Circle tram. In any case, the current debate is about metropolitan-wide free public transport, not city centre. Free PT might not be realistic, but the fares for Melbourne are expensive. The regular fare increases in excess of inflation over recent years don’t help. The money lost on the FTZ would have been much better used to keep down, or heaven forbid, reduce all PT fares. 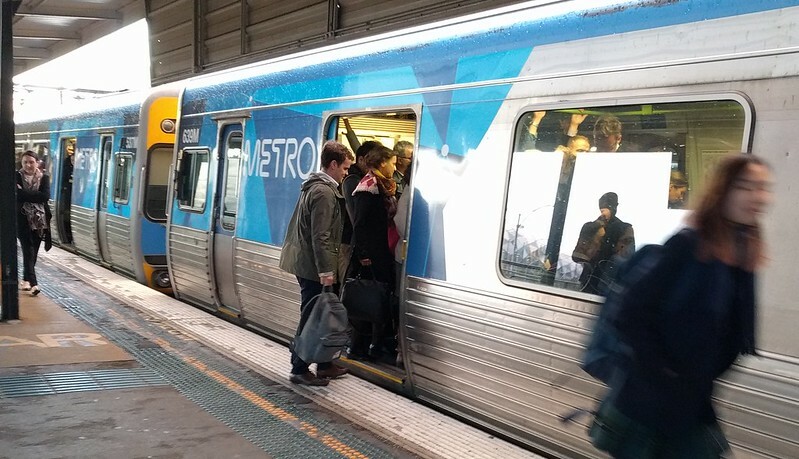 On a related issue, I’m increasingly of the mind that the fare system for metro Melbourne really needs to be thrown out with something new in its place. The abolishing of Zone 3 was a mistake I think as it has led to essentially an expensive flat rate system where going two stops on a suburban tram is the same price as taking the train from Hurstbridge to Frankston. Makes one wonder why the government bothered spending $1.5B on Myki if this is the simple fare system it has to implement. I usually prefer PT fares to be kept simple (so I’m not a fan of peak/off peak fares) but some sort of distance based model might be needed in 5-10 km sections. I use to walk around the city. 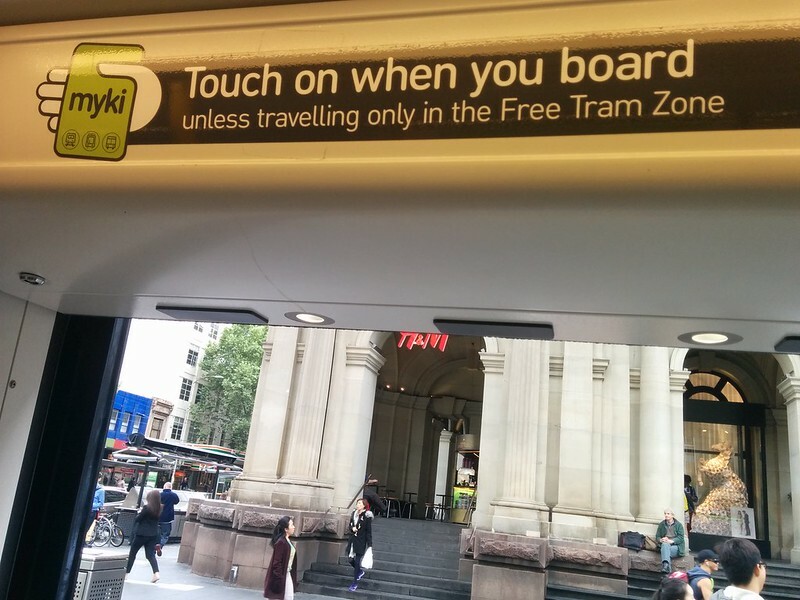 Now I catch a tram in the CBD – because it’s free. So I agree with you Daniel that making PT free will encourage a lot more people to use it, without the funding for additional services to cope. In fact, less funding. I would like if we extended the FTZ up St Kilda Rd at least as far as the NGV (and preferably the Shrine of Remembrance). We definitely need greater investment in frequency and reducing overcrowding, and we also need to resist upwards pressure on fares. It’s not okay when fare rises consistently outpace inflation. I think the quick answer to metropolitan-wide fare-free public transport in Australia is that presently there simply aren’t the fleet sizes and often system capacity to handle the extra demand for public transport that would result. The surge of demand on the fare-free central area circulators alone after they’re introduced (commonly patronage growth of millions of passengers per annum) is a micro example of what would happen on a metropolitan-wide scale. It sounds like a good formula for operational collapse! We should be aiming for that and one of the steps should be to make PT free during the off-peak. Inequality is at a 70 year high and free off-peak travel will help the poor. The poor own no land, so it is a great tax. Cheaper off-peak and short trip fares could and probably should easily be introduced. Special passes for the poor to get free PT in the off-peak may even be a reasonable idea. General free PT is still a bad idea given its undermining of walking and cycling, disproportionate tendency to fill the busier areas of PT and its replacement of incentive to increase services with disincentive. The free tram zone should be scrapped. Yeah, I too would question the point of spending money on Myki for such a simple fare structure. Sydney’s isn’t really cheap either, but at least it’s distance-based and thus makes better sense. If I remember correctly, a trip on a bus in Sydney for the entire length (generally 10-15kms) would only cost $4-5 at most, whereas according to the PTV website, it is actually similar for even a single stop with Melbourne’s trams? (assuming Zone 1+2) I thought the whole point of having electronic fare payments was to allow for various discounts/surcharges depending on who (student/pensioner/full fare) is travelling at what time of day (on-peak/off-peak), for how far, and in which mode (bus/tram/train). 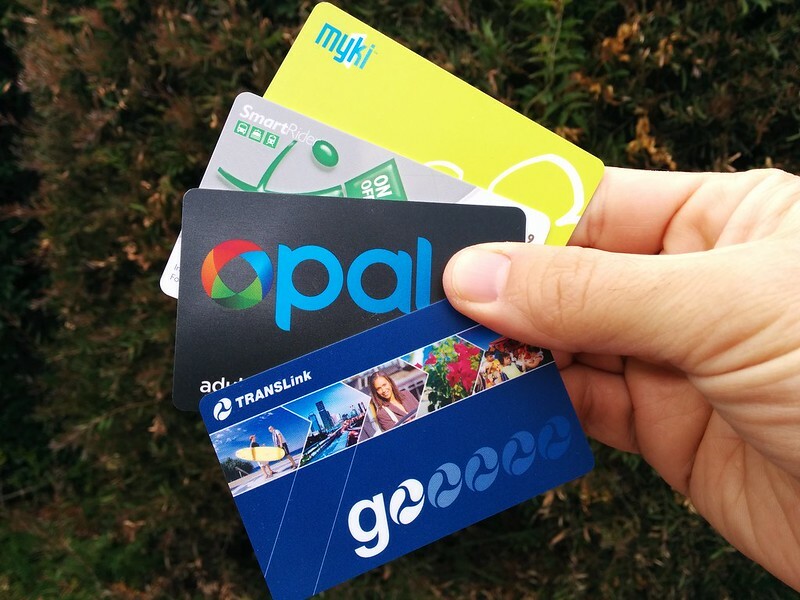 The simplified structure without any discounts is more for paper-based tickets – speaking of which, almost everywhere else has and Melbourne really should reinstate for people travelling occasionally or as an emergency measure (read: when you lost your myki). Wasn’t one of the key reasons for making trams effectively all one zone (Z2 only journeys excepted) to eliminate the need to touch off, which is just not practicable on packed trams. ISTR that TPTB only realised this at a late stage of Myki planning. It’s also worth noting that Vancouver doesn’t have any off-peak discounts, though it is a single zone fare (instead of up to 3) after 6:30pm on weekdays, and all day on weekends and public holidays. @TonyB, yes tram zones were altered due to Myki – not just the crowding, but also the lacklustre speed of the Myki devices. (The newest ones are faster). But this only affected a few kilometres of just three routes (75, 109 and 86). The subsequent zone changes have effectively done the same for trains and buses. Daniel, I was not aware of the 631,000 figure. Thanks for that. But Vancouver does have cycleways – not sure how many km – and they are probably free to use. Most people in Copenhagen and Amsterdam probably get around on bicycles. The cycleways cost money to maintain – just like railways – but are free to use and funded somehow. I used to walk home from school because I was too poor to afford a bus ticket. Free off-peak bus travel would help poor families and of course get people out of peak hour services. Some people drive instead of using PT because they think it is cheaper to drive. Electric cars are going to make them more inclined to think that way. If off-peak tickets are $0, there is no argument that $0 is cheaper than $1. Bike paths, like roads, are public infrastructure mainly for private vehicles (which have private operating costs) that are mostly infrastructure cost and, with lots of entry and exit points, are complicated to charge for travel on. Public transport has public services (with public operating costs) that have much fewer entry points and thus have both a higher need and higher ability to charge for usage. The myki system as it relates to the interaction between metropolitan and regional travel needs a complete overhaul to remove all of the anomalies. At present I think there are 6 fares for travel between Southern Cross and Geelong depending on time of day and if you are prepared to break your travel to touch off and on at a station in Zone 2. The marginal cost of continuing a journey one station past Lara (to Corio) is $7.30 (peak, or $3.82 off-peak) – more than three times the cost of a single trip between Lara and Corio ($2.40). There is a massive difference between the cost of a Zone 1/2/3 trip and a Zone 1/2 trip, especially in peak times. It’s not so much a case of an off-peak discount, but a peak penalty! And then a penalty for travelling outside the ‘metropolitan’ area! But I’m not sure if the answer is to reduce V/Line fares. I think we need both. Paid public transportation like buses and MTA should be better managed and maintained. Nevertheless, urban infrastructure should accommodate free public transportation, make bike lanes and walkways that are easily and readily accessible. I think public transport could work with a small fare. Something very cheap that still generates enough profit to use it on maintenance and improvement of the system. Free doesn’t guarantee that you’re going to be able to catch the public transportation since is going to be so packed. I think is better to have a small fare for the public transportation and more places for people to run their bikes and skateboards as a free form of transportation.